Sleeve Gastrectomy—a minimally invasive surgery to reduce the size of the stomach—is now the most popular weight loss surgery at our Center and in the world. 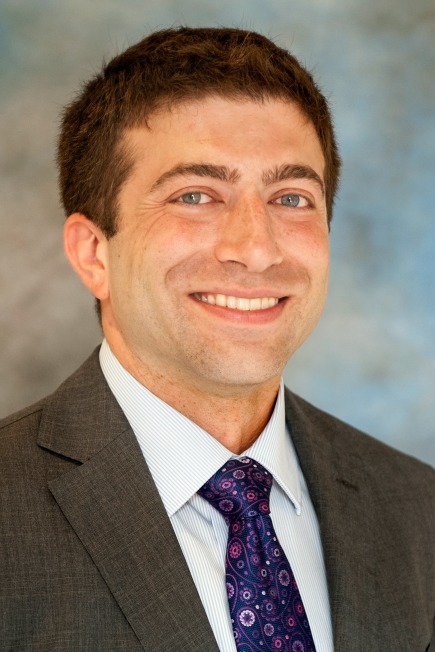 Columbia surgeon Dr. Abraham Krikhely tells how it can help patients achieve their desired goals—improving both their health and quality of life. In a sleeve gastrectomy, a portion of the stomach is removed to make the stomach smaller – roughly the size and shape of a banana. It is a surgery that we routinely perform minimally invasively. Working on a TV screen, we use small instruments and camera, inserted through a few small incisions. With a smaller stomach, patients eat less. Also, the surgery is associated with hormone changes that lead to decreased appetite. Why is this operation the preferred choice by so many? People often see the great success that their friends and family members have had with the sleeve then want the same results. Patients achieve reliable weight loss with a simple operation they can easily understand. It makes sense that with a small stomach, you will eat less and lose more weight. The sleeve gastrectomy has been found to be much more effective than the gastric band and does not require placement of a foreign device or needle adjustments which the band does. It is also almost as effective as a gastric bypass which has some long term risks that the sleeve doesn’t have. On average, patients lose about 60-70% of their extra weight. Many studies have also shown that sleeve gastrectomy is very effective at treating and even causing the remission of diabetes, high blood pressure and other medical conditions associated with morbid obesity. Patients also report more confidence and vitality and are pleased to be able to engage in more activities. How long does the operation take and how fast is the recovery? A sleeve gastrectomy takes about one hour to complete and usually involves a night or two in the hospital. The recovery is fairly quick. We expect our patients to be up and around immediately. Most are walking the day after surgery. At first, there may be some pain around the incisions but this is treated with pain medicine and generally resolves in a few days. How soon patients return to work depends on mow much physical activity is required. My basic rule is no heavy lifting for a month after surgery. Those with desk jobs typically go back to work after two weeks. Is there any special follow up required? Ongoing follow-up with our team is what allows our patients to achieve such good results with fewer complications. It is very important to have routine testing of the vitamin levels in your body to make sure that you are getting the vitamins and nutrients you need. We also recommend surveillance endoscopies on a routine basis, to make sure everything is working properly and to check for signs of reflux—a condition where the contents of the intestines or stomach back up into the esophagus. Some patients may develop reflux after sleeve gastrectomy, so we watch them very carefully. We also do our surgery in a way that is thought to decrease this risk. Reflux is usually treatable with medication, yet some patients may need a gastric bypass. Another, newer solution approved for effective treatment of reflux and being studied specifically for the sleeve gastrectomy is LINX, a magnetic device that looks like a necklace that is surgically placed around the esophagus. The beads sit around the esophagus and keep acid from coming up into it. When a person swallows, the beads separate and allow the food to go down. They rest of the time the beads stay closed, preventing backflow or damage to the lining of the esophagus. What kind of weight loss can you expect from a sleeve gastrectomy and is it lasting? So far, we have seen good lasting weight loss, of about 60-70% in the short-term. Studies show long-term weight loss after 5-10 years to be about 50-60% of the patient’s excess weight. But those are just the averages – don’t let the statistics hold you back. Some people do better. Believe in yourself. How you change the way you live your life after the surgery can have a huge impact. I recently operated on a 23 year-old male who weighed 424 lbs, with a BMI 68, and couldn’t shed enough pounds through exercise and diet. A year after a sleeve gastrectomy, he lost nearly 200 pounds and now plans to join the army, a long-held goal. As a surgeon, I’m deeply moved by people who are able to fulfill their dreams, and fully enjoy their lives.